Fans of older music hits can now access a channel devoted to music from the last few decades via terrestrial TV. 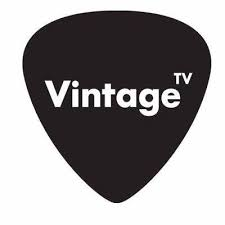 Vintage TV has gone live on Freeview channel 86, after securing Freeview capacity from multiplex operator Arqiva. Since 2014, Vintage TV has been available on Freeview channel 242, but as a streamed channel to compatible connected Freeview devices. This is the first time Vintage TV has been available as a regular terrestrial channel. It's the second specialist music channel to launch on Freeview in the past few weeks, following on from the arrival of country music channel Keep It Country last month. Coverage of the channel is limited. The technical reach is just over 75% of households, although due to domestic aerial set-ups, realistic coverage is a little lower. To receive Vintage TV on Freeview, viewers need a DVB-T2 compatible device, such as a TV or box that supports Freeview HD or Freeview Play. Viewers with EETV or YouView (BT TV, TalkTalk TV, Plusnet TV) who live in the coverage area can also receive the channel. Earlier this week there was disappointment from viewers when Vintage TV dropped off satellite service Freesat, without any prior warning to viewers. Vintage TV has taken over the Freeview bandwidth of Al Jazeera Arabic, which has now ceased via Freeview.